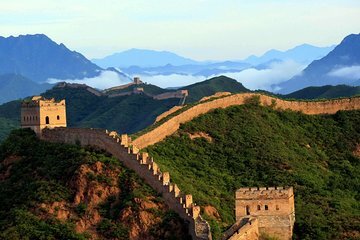 Make the most of your layover in Beijing with an excursion to the Great Wall of China at Mutianyu from Beijing Capital International Airport (PEK). Your private guide meets you upon arrival and takes you to the Great Wall for a two- to four-hour private tour. Have the option to take the shuttle bus, cable car or chair lift (own expense) to the top of the mountain, then walk along the 600-year-old wall. Afterward, your guide returns you to the airport or your Beijing hotel.